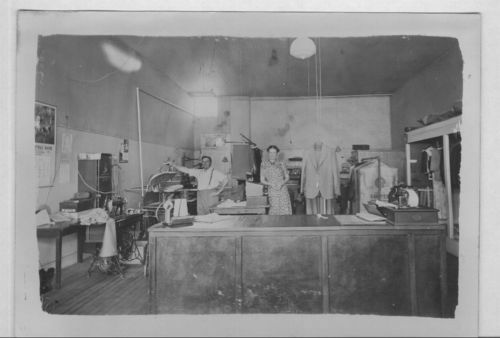 This is a photo of a dry cleaning store in Frankfort, Ks. The man standing at the press is William J. (Bill) Wenzl and the woman is unidentified.